Major credit cards are a favourite way for people to get money on and off their online casino accounts, and it doesn’t get much more major than Visa! People like the convenience and security of using their Visa cards to handle their online gambling deposits and withdrawals. It’s fast, easy and puts an added layer of security between your bank accounts and the online casino. Keep reading to learn more about how to use Visa credit cards to make online casino transactions, the average processing times and what to do if your bank’s Visa card doesn’t allow deposits or withdrawals from internet casinos. Visa and other major credit cards are a really easy way to make deposits at online gambling sites which is why they’re the most commonly accepted and used method around. Just visit the cashier at your online casino site and enter your credit card information to make a deposit. Successful deposits using a Visa credit card are instant which means you’ll have access to your money immediately to play with. 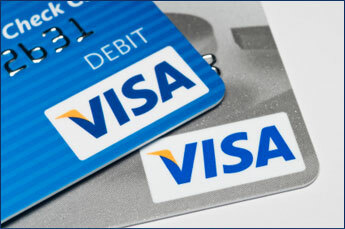 Using Visa credit cards is one of the best ways to deposit if you need access to the funds right away. It’s also one of the safest banking methods because in most cases if something does go wrong, you won’t be liable. In the UK, there’s a rule in the Consumer Credit Act that says purchases between £100 and £30,000 are protected from things like the company going bankrupt and losing your money, or if the product doesn’t deliver on the company’s promise. You’ll also be covered in most cases if your credit card info is compromised and someone uses it to make fraudulent charges. Everyone is used to making purchases on their credit cards but in the case of online casinos you can use your Visa card to make withdrawals too. Online casinos always prefer that you make withdrawals using the same method you used to deposit money into your account. It comes with a certain level of verification since they already know the card is linked to you. That’s a big reason people like using Visa withdrawal to get money out of their online casino accounts. If you deposit with Visa and then try to withdraw using an e-wallet like Paypal, for example, the online casino will ask you to provide more information and pass additional security screening. This is for your own good, since you don’t want anyone else to be able to withdraw your money if they get into your account, but it is a hassle and another good reason to withdraw using Visa if that’s how you deposited in the first place. Many banks in the UK have begun treating deposits at online casinos the same way they treat cash advances, like when you withdraw cash from an ATM using your credit card. Cash advances usually don’t enjoy the same interest-free period as regular purchases and often come with an additional one-time fee. Inquire with your bank about the details of your specific credit card when it comes to online gambling transactions and make sure to pay off the charge immediately because you’ll be paying interest on it right away. Some credit cards can’t be used at all to make online casino transactions. If you try to deposit with your credit card and it is declined, don’t worry. There are still lots of great options to get your money into your online casino account. One of the easiest banking methods for internet gambling is a Visa prepaid debit card. This is exactly what it sounds like: a card that you pre-load with funds when you buy it and then use like a regular credit or debit card. There are a couple advantages to using prepaid cards. First, it makes sure you won’t be paying high cash-advance fees and interest like you probably will on your credit card. Second, it controls the amount of money you can deposit in your online casino account which makes you less likely to lose more than you’re comfortable with. Funding your online casino account using your Visa credit card is safe and convenient but it does come with additional risk for some. Since credit cards allow you to gamble on credit, you might not have the money to pay your bill, or you may see it as a way of making money when you’re broke. Gambling with money you can’t afford to lose is always a bad idea! Playing casino games for real money should be a fun, entertainment-oriented activity and it’s definitely not recommended to incur debt as a result of doing it. If you find yourself spending more money than you’re comfortable with on your credit card, consider disconnecting it and choosing a slower deposit method. If you think you may be at risk of developing a destructive or compulsive gambling habit, there are many ways to learn more and get help if necessary. Visit our comprehensive page on responsible gambling for resources, tools and details about problem gambling. Visa started in 1958 in Fresno, California. It was introduced by the Bank of America and at the time it was called the BankAmericard program. Initially it was only planned to serve the state of California but over the next decade, Bank of America began partnering with banks in other states as well. Since then it’s grown to be one of the biggest credit card companies in the world. In 2017 Visa’s shares are worth over $200 billion USD and there are over 1.4 billion Visa cards in circulation. Like most online businesses, online casinos were quick to adopt Visa and other major credit cards as an accepted form of payment. Credit cards gave online gamblers a convenient and secure way to deposit and withdraw because they can rely on the vast resources and reputation of Visa instead of a specific online casino brand. Especially in the early days of online casinos – before regulating bodies, licenses and oversight were the norm – using Visa allowed customers to feel more secure doing transactions online. 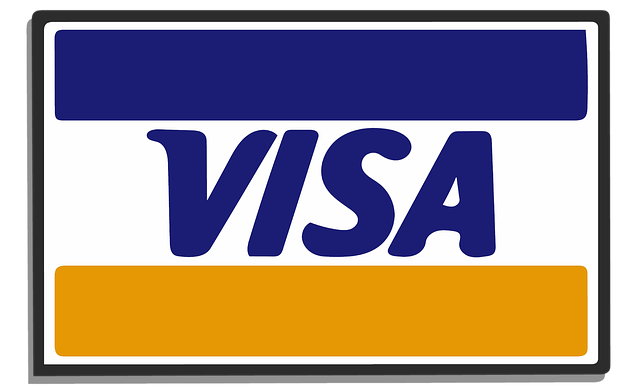 Now Visa is accepted by almost every reputable online casino in the world and remains one of the most popular ways to get money on and off online casino accounts!